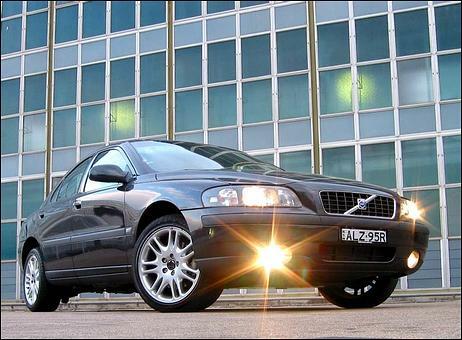 It's fair to say that when we previously tested the Volvo S60 T5 we weren't enormously impressed. With 184kW and a huge amount of torque being channelled through the front wheels, we found the high-performance variant of the S60 to be a real handful when being driven hard. Torque steer, wheelspin, a lack of directional stability - they were all apparent. 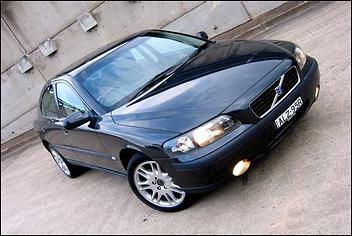 So it was with great interest that we approached the subject of this test - the Volvo S60 AWD. Not only does this model direct power through all four wheels, but it also uses a lower boost pressure on its five-cylinder, 2.4-litre engine. With a potentially more progressive engine and the benefits of all-paw traction, would this Volvo be the reassuring and competent on-road vehicle that we'd previously found lacking? In short, the answer is 'mostly yes'. Firstly, the engine. With a peak power of 147kW at 6000 rpm you could be forgiving that in this time of so many high-power family cars, that's nothing special. But with 285Nm developed all the way from 1800 - 5000 rpm, this is one of the most driveable engines on the market. To put that in relative terms for our Australian audience, the turbo and intercooled five-potter has 7kW more power than the 3.5 litre Mitsubishi V6, but more importantly, it also develops 30Nm more torque from as much as 2700 rpm lower in the rev band. And then holds that torque peak right through to 500 rpm higher than the Mitsubishi V6! So if you're still of the school of thought that a naturally aspirated V6 is an example of a driveable engine having a good spread of torque, this Volvo engine (at of course, a much higher price) certainly shows that for the furphy it has become. 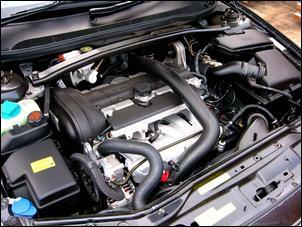 On the test car the engine was bolted to a 5-speed Tiptronic-style auto trans. Together with what feels like a reasonably high stall torque converter, the engine provides a seamless thrust whenever the right foot is floored. Volvo claim a 0-100 time of 8.5 seconds, but in many ways the responsiveness and instant-torque of the engine makes the car feel quicker than this. The S60 AWD is certainly not a car that needs to be launched hard to go quickly, and neither is it a car that ever feels turbocharged - turbo lag is effectively non-existent. The transmission's manual control function works very well - it uses the intuitive system where the lever can be pulled back into 'Drive' from any manually selected gear. However, the trans did slip up a few times on test; twice it appeared to select neutral for an instant when gently accelerating away from a slow corner, and several times it also seemed confused as to which gear to select. While a bit gruff on start-up and at idle, in normal use the 2435cc engine is smooth and economical. In fact, the latter results show both the aerodynamic lines of the body and the way in which a turbo engine can 'change in size' depending on the power request. 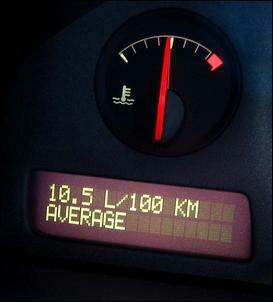 The government test figures show 7 litres/100 on the highway cycle and 10.4 on the city cycle, and with reasonably hard driving we averaged 11.3 litres/100 km. And what of the AWD's handling? It was in this area - especially at low speed - that the front-wheel drive T5 appalled us. 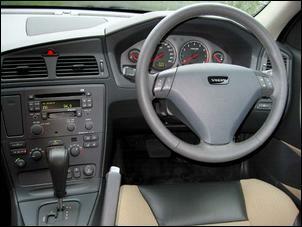 We wrote: "...the steering wheel writhes in your hands, huge Continentals trying valiantly to harness that torque to the pavement. The DSTC stability system symbol flashes furiously on the dash, the shriek of the slipping tyres fills the cabin and - whoops, there she goes! - the front wheels follow any easier path that they can access." Thankfully, the AWD and better torque progression (and of course, less power) of this engine removes these traits almost completely. If you're hypersensitive you'll notice that there's still a trace of torque steer (accelerate hard from a standstill and the steering will pull a fraction to the right), but for all intents and purposes this model just puts down the power and goes. Straight. The four-wheel drive system is an unusual system: not for the S60 a simple viscous coupling or centre Torsen diff. In its place is a wet multiplate clutch, a design developed in conjunction with Swedish engineering company Haldex. 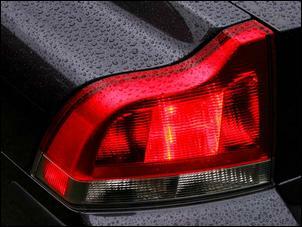 The system uses a hydraulic pump that is driven by any speed difference between the front and rear wheels. The use of a piston pump allows the very quick building of hydraulic pressure, even at low rates of rotation. But the system isn't confined to just the pump and wet clutch; in addition there is some electronic control that allows four-wheel drive to be disengaged, even with a front/rear speed differential. Under normal driving the All Wheel Drive isn't - instead, just the front wheels are driven. Presumedly, this approach is chosen to optimise fuel economy. Then when the front wheels rotate at a different speed to the rears, torque is progressively transferred to the back wheels. However, during braking and parking manoeuvres, front-wheel drive only is selected. The system is therefore an odd amalgam of four-wheel drive technologies: it can't act pre-emptively (eg engaging four wheel drive when the driver requests lots of power and before wheelspin occurs), and it doesn't provide the security of four-wheel drive in 'normal' driving. However, the speed with which the torque transfer occurs is very fast, and while the car in some circumstances can be felt to wheeslpin at the front before getting all tyres torquing, in most situations the system works quite well. 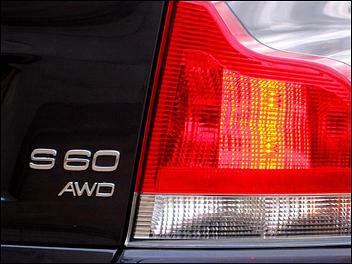 One reason that it is competent on the road is the fact that the S60 AWD also features electronic traction aid. TRACS, Volvo's traction and stability control system, uses ABS-style braking to limit wheelspin rather than reductions in engine output, so torque is effectively transferred laterally as well as fore-aft. So with all of this technology underfoot, what's she like on the road? Driven conservatively, the AWD is excellent. 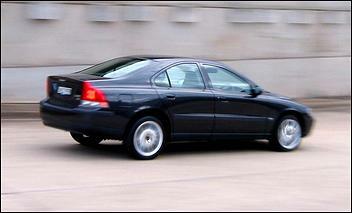 The ride is not particularly firm - and the seats are soft - and the Volvo goes where's it's pointed. It's never a nimble car - the lack of feedback from the steering makes it feel bigger than it is at times - but it's also one that doesn't have any aberrant behaviour. In fact, even up to the point of being driven briskly it's fine. Drive the car really hard, though, and understeer intrudes, the car doesn't want to change direction quickly - and it all becomes a handful. Four-wheel drive and an intercooled turbo, sure. But an out-and-out performance machine - never. But unlike the T5 we don't think that's something to dwell upon; for the vast majority of buyers, the handling finesse will be fine - it's safe, solid and secure. And those buyers will also enjoy an excellent safety level. Inside the cabin they'll find what seems to be dozens of airbags (actually, it's six), and while it can't be seen, there are also Volvo's Side Impact and Whiplash Protection Systems. The brakes are big - the front ventilated discs are 305mm in diameter - and use ABS and Electronic Brake Distribution. Together with what feels like a very rigid and well-built body (the doors shut with a vault-like 'clunk') and the on-road security, you get a real feeling of safety. Perhaps that was partly because during most of our week-long test, it was raining and foggy - in these conditions the AWD felt superb. There's also plenty of equipment: a powerful CD sound system, electronic climate control (with very easy to use controls), and a really good trip computer. Like all the S60 series, the AWD features a night perimeter lighting system: press the button on the remote and a curtain of light is cast all round the car. However, in the equipment stakes, only the driver gets an electrically adjustable seat - though that does come with memories. Probably the biggest downer of the body shape is rear seat legroom - this is tiny. With the recent release of a range of space-efficient small cars, the Volvo is really shown for the atrocious rear seat packaging that it has - literally a car like a tiny Holden Barina has more passenger legroom in the back seat than the vastly larger Volvo. For two children - fine; but if you want to carry adults in the back, be prepared to trade off a lot in front seat legroom. Rear three-quarter vision is also poor, although a dash-mounted pushbutton allows the driver to drop the rear head restraints when no rear passengers are present. The boot is a good size but is accessed through a very small opening, while a spacesaver spare wheel is used. The rear seat back (releasable from inside the boot) folds down on a 60/40 split. If you're after a solid, safe, secure, tractable and progressive car that does little wrong and a lot right, put the S60 AWD on your shopping list. 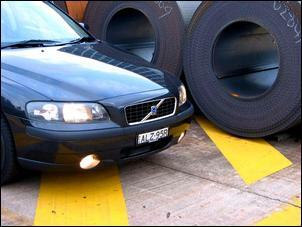 The Volvo S60 AWD was supplied for this test by Volvo Australia.